I use this section to jot down any questions I have for our Pediatrician. I also jot notes down from our Well Child Checks, especially things we plan to check again later. This way, I am always prepared when "later" arrives. This section is mostly records from my pregnancy and Spencer's discharge papers from the hospital. The most amazing thing in this section, which I didn't get until April, is the results from his chromosome analysis. Why is it so cool, you ask? 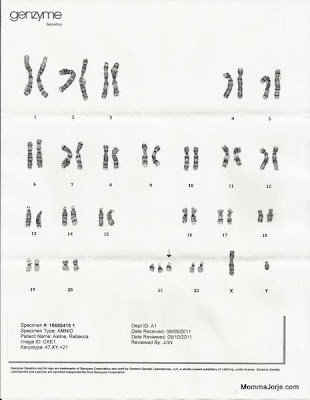 Because I have an image of Spencer's actual chromosomes! I just find that fascinating! Spencer has a PDA, but it is very small by now. He has pulmonary hypertension, for which they cannot find the cause. They will soon do a cardiac catheterization on him if the pressure doesn't drop on its own in the next week. He has one Atrial Septal Defect (read: hole in his heart). He has a Bicuspid Aortic Valve and Pulmonary Stenosis. You can find explanations for these in Spencer's Heart and Spencer's Heart Plus. 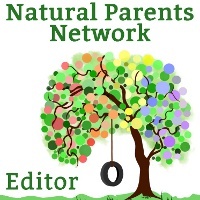 You might also like to check out Typical Visit to the Pediatric Cardiologist + Results. A list of Spencer's heart issues are written on the back side of the tab page. Other notes, such as the name of our favorite Ultrasound tech at the Pediatric Cardiology office, are written on the pages within. I also have the diagrams I've been given in this tab. Heart problems are very common in children with Down syndrome. Spencer has had no major problems in this department. He has, however, had some issues with bowel movements (very common for babies with Down syndrome). Our doctor suggested an over-the-counter medication, but we opted for some natural options. One of those is Oxy-Powder. If your child (typical or with Down syndrome) suffers from constipation, I highly recommend you take a gander at Constipation In Children and What You Can Do To Help from Hybrid Rasta Mama. Spencer failed his initial (in NICU) hearing screen on one side. He took it again a month later with an Audiologist and passed! We recently went for his "6 month follow up" (at 7 months) and one ear drum failed. We waited a few weeks in case it was fluid related to allergies or something and then retested. Both eardrums failed. His other ear parts are working and we know he can hear us, but he is still not mimicking sounds. We are awaiting contact regarding our referral to an ENT specialist. Spencer has seen one once before to check his throat for a stridor. So far, Spencer's blood screens (for Leukemia, Transient Leukemia, Platelet Counts, etc.) have been all clear! Spencer's tests have all been clear so far! We love our eye doctor! Spencer was checked at around 6 months. He has hyperopia (he is farsighted) and astigmatism. (All the women in my family also have astigmatism.) His vision does not need any sort of correction at this point and, in fact, it is all minor enough that we don't have to return for a full year! Spencer does not have cataracts, blocked tear ducts, strabismus, or any other very common eye problems. Spencer has never had any sort of issue bad enough to see a dermatologist. He did have some itchy spots on his toes that he rubbed so hard the skin peeled. The doctor prescribed Lotrimin (available over the counter). We tried Apple Cider Vinegar followed with Coconut Oil to no avail for a while. The doctor suggested the cream again. I stuck with just coconut oil and his toes cleared up. There is a full list of skin problems common for children with Down syndrome. We have been very lucky here, as well. I have chosen Spencer's dentist (the girls have been there already), but he will not have to be evaluated for at least another year. Teething can be variable for children with Down syndrome. His first teeth may not appear until his 1st or even 2nd birthday. He may be missing permanent teeth. Cavities are not a common problem, but there is an increased risk of gum disease. Diabetes is not common in the first year of life, but may show up later. So far, so good. Umbilical hernias and epilepsy are also common among children with Down syndrome. Spencer did not have a hernia. So far we have seen no signs of epilepsy. My vaccination section is completely and totally blank at this time. Our Pediatrician respects our choice not to vaccinate. We've been seeing a Child Development Specialist from Sooner Start in our home twice a month since Spencer was about 2 months old. Sooner Start is a joint division of the Oklahoma State Department of Health and the Oklahoma State Department of Education. This program is available for babies up until they enter preschool. Our CDS is moving away, so we have a new CDS starting this month. I have also requested that we add to / replace her visits with an Occupational or Physical Therapist and a Speech Therapist. So far, all of our work has been to prevent delays (because he hasn't had any!). In this section, I jot notes down about our "homework" and I keep my copy of our CDS's notes. Chiropractic is a new tab in the book. When I got the news about Spencer's Heart Cath, I freaked! Then I met our chiropractor at our local Improving Birth Rally. Spencer's initial scan was the worst they had ever seen in a baby his age. We started care immediately, 3 times per week. Dr. Jannell is especially focusing on the areas that help Spencer's heart, bowel movements, and now his left foot. He will be re-scanned again today. I expect more improvement and am very hopeful that Spencer's hypertension pressure level has dropped by next week. I did read a warning from a fellow mother of a child with Down syndrome not to do chiropractic adjustments on kids with Down syndrome until they are cleared for AA joint instability. This is the ligament around the top two bones in the neck. 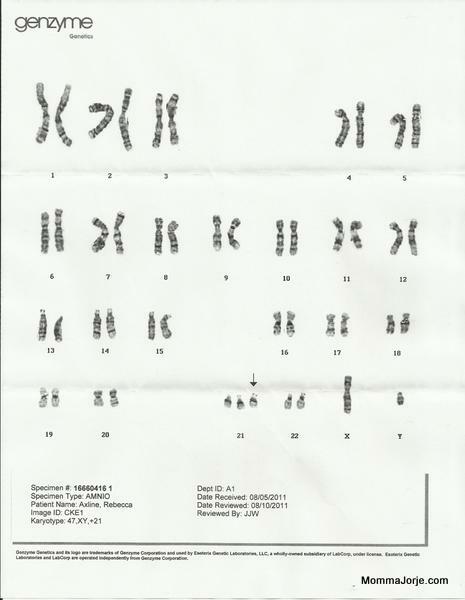 It can be malformed or “unstable” in patients with Down syndrome. 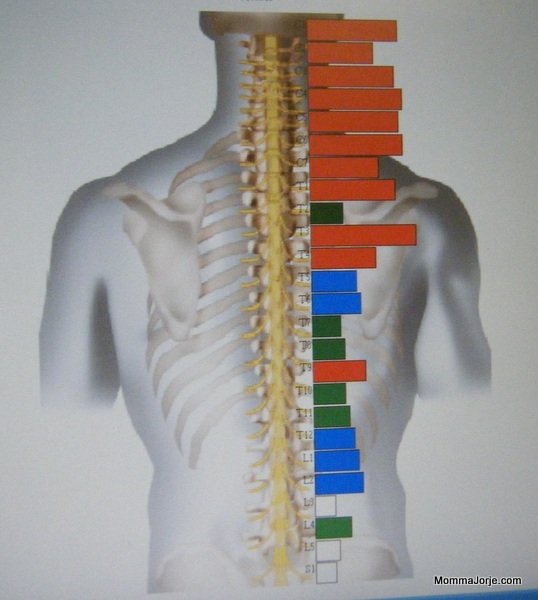 When using HLVA (high velocity, low amplitude) techniques, evaluation should be done via motion study x-rays. The key here, however, is that our chiropractor never uses HLVA on infants! Do you keep close track of your kids' medical records? Do you have any questions to ask about Down syndrome? The Buddy Walk is an opportunity for anyone and everyone to walk - or support a walker - and raise funds for the Down Syndrome Association of Tulsa and the National Down Syndrome Society. Last year alone, over $10.5 million dollars was raised nationwide for local programs and NDSS’ advocacy programs that benefit and serve people with Down syndrome and their families through the Buddy Walk. Help show the world that Spencer and others with Down syndrome are more alike than different! Please click the image to sponsor our team. Thank you for your supporting Spencer's Sidewinders in the 2012 Buddy Walk! You need to find how to use ikeymonitor at this link if you are the one who wish to monitor your kid and it's internet activity. I am sure that Spencer will be alright soon and enjoy the moments of his life in a more effective way and will participate in all the aspects of life but I will also advise you to consult Physiotherapy North Ryde as well as sometimes natural therapies do some wonders.